Cancer biomarkers have many potential applications in cancer treatment, including screening, diagnosis, risk assessment, prediction of response to treatment, and monitoring of progression of disease. 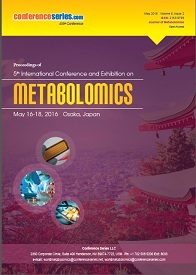 Metabolomics is growing in the field with particular attention to its application as a biomarker in cancer diagnosis. Biomarkers of disease could incorporate a wide scope of biochemical elements, for example, lipids, proteins, sugars, and little metabolites, nucleic acid, cytokinetic and cytogenetic parameters etc. Metabolic syndrome in short words can be explained as a group of conditions which includes increased blood pressure, abnormal cholesterol, high blood sugar, excess body fat around the waist and or triglyceride levels, that occur together and increase your risk of heart disease, diabetes, and stroke. Most of the disorders associated with metabolic syndrome have no symptoms, although it is closely linked to overweight or obesity, insulin resistance, and inactivity. Recent researches proved that prolonged chronic stress can be a cause for metabolic syndrome by disrupting the hormonal balance of the hypothalamic-pituitary-adrenal axis. Metabolic syndrome can be prevented or reversed by adopting a few numbers of lifestyle changes, including losing weight, regular exercise, a healthy diet, stopping smoking, and cutting down on alcohol. 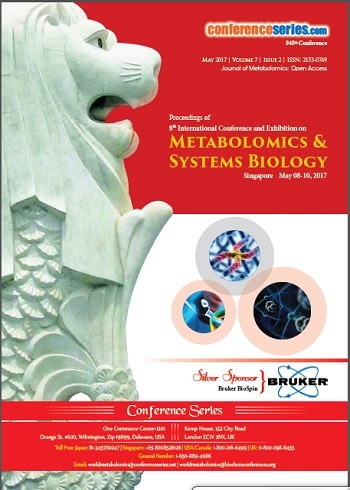 Metabolomics had profound importance in recent years in context to its applications in the field of drug development and drug discovery. With recent advances in the field of metabolomics, it can be proved as a major tool for innovative therapeutic discoveries. Metabolites have non-invading nature and close relation to the phenotype. That makes it a perfect tool for the pharmaceutical, agricultural industries, and preventive healthcare among others. In the agricultural/chemical industry, metabolomics may be used to develop pesticides and herbicides. 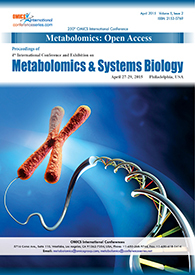 With increasing importance being placed on health and safety related aspects of our food, metabolomics can potentially be a valuable tool in quality control and food processing, or in plant breeding for improved crop varieties and in the development of novel foodstuffs Centre for Metabolomics is associated with therapeutic metabolomics. Computational immunology is a field of science that incorporates high-throughput genomic and bioinformatics ways to deal with immunology. Metabolomics is the study of exogenous and endogenous low atomic mass metabolites inside of a cell, tissue, or biofluid of a life form. 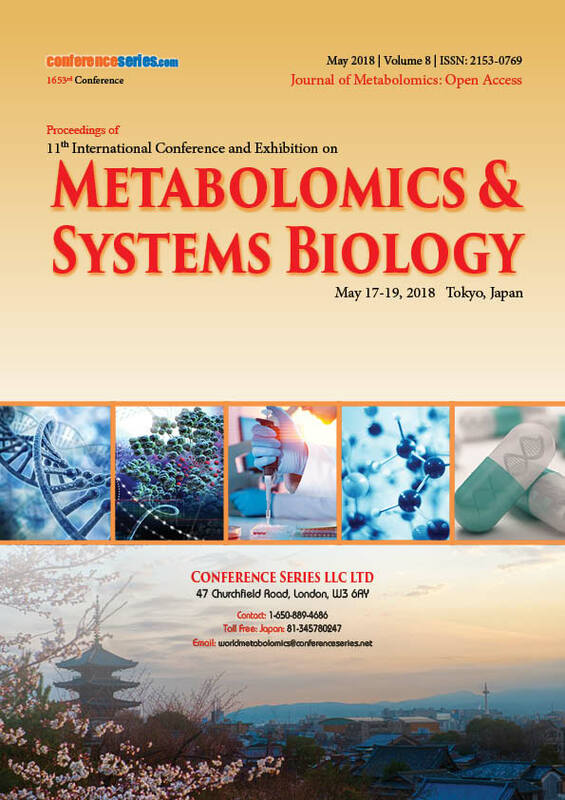 The sub-control of environmental metabolomics is the utilization of metabolomics strategies to investigate the connections of life forms with their surroundings. Plant Metabolomics deals with the evaluation of plant framework at the sub-atomic level giving a non-one-sided characterization of the total metabolite pool (metabolome) of plants under particular conditions whereas environmental metabolomics is the utilization of strategies to find out the relationship between life forms with their surroundings. Using Metabolomics, a better understanding of the correlation between biochemical composition and genes of plant tissue in response to its environment (phenotype) can be obtained, and this information can be further used to assess gene function (genotype). Four joint U.S. also, Japanese research groups have been recompensed subsidizing totaling about $12 million (about Yen 960 million) to grow new indeed well-disposed strategies to expand the creation of renewable biofuel and lessen pesticide use. Obesity has become a global health problem that contributes to numerous life-threatening and disabling diseases, such as type 2 diabetes mellitus and coronary artery disease. The long-term results of traditional weight loss therapies, including diet, exercise, and medications, are relatively poor. Bariatric surgery is the most effective treatment of morbidly obese patients to allow substantial, sustained weight loss and to improve or resolve obesity-associated comorbidities, thereby reducing mortality. Synthetic biology main purposes are to create novel biological functions and systems by combining biology with engineering. The workflow of the development of novel biological functions with synthetic biology is ideally linear which will be attainable with the quantitative engineering approach, high-quality predictive models, and libraries of well-characterized parts. In particular phases of synthetic biology workflow different types of metabolic models, mathematical representations of metabolism and its components, enzymes and metabolites are useful. Molecular Medicine stimulates the reflective of the biological mechanism of disease at the cellular and molecular levels for enhanced treatment, prevention and diagnoses of disease. Proteomics plays a vital role in molecular medicine and medical research, such as in diagnostics and drug discovery, because of the connection between genes, proteins, and diseases. It is considered to be the next step in modern biology. Proteomics is dynamic compared to genomics because it changes constantly to reflect the cell’s environment. The main objectives in the area of proteomics are; identifying all proteins in different samples and analyze differential protein expression , characterize proteins by studying and identifying their function, recognize protein interaction network and cellular localization. Cancer biologists have made the first attempts to utilize proteomics for prognostic and diagnostic purposes. Recently developed serum-based proteomic pattern diagnostics, which is a new method of diagnosis and disease identification for ovarian cancer detection. Transcriptomic studies deals with the measurement of simultaneous expression of up to thousands of genes and can be used to identify which genes are down or up regulated under certain conditions. Metabolic pathway is a series of concoction responses occurring inside a cell. In a pathway metabolite, the beginning compound is changed by an arrangement of synthetic responses. These responses are catalyzed by enzymes. These chemicals frequently require dietary minerals, vitamins, and different cofactors to work. Metabolic pathways are classified as anabolic and catabolic pathways. Nutritional metabolomics is using chemical profiling of small molecule to support the assimilation of nutrition and diet in complex biosystems research. Nutrigenomics is a branch of nutritional genomics and is the study of the effects of foods and food constituents on gene expression. Foodomics derived from the digestion and biotransformation of foods and their constituents in which MS techniques are considered indispensable. Metabolomics studies can provoke enhanced cognizance of disease instruments and to new indicative markers furthermore redesigned perception of medication for the solution or xenobiotic impact and expanded capacity to anticipate singular variety in medication reaction phenotypes. Howard University Center for Computational Biology and Bioinformatics (CCBB) is to empower and drive the use of computational approaches to manage the examination of biomedical and disease frames. New programming and progressively complex NMR metabolite spectral databases are inducing the fascinating limits of NMR spectroscopy to perceive and assess little particles in the answer for examinations of metabolite biomarkers and metabolic flux. MS appreciates a solid point of interest in affectability contrasted and NMR and, through utilization of various blends of chromatographic techniques and mass/charge partition innovations, gives the capacity to gauge a more extensive cluster of little particle metabolites. Precision medicine is rapidly developing tool for medical treatment to a small group or even individual patients based on their genetics, lifestyle and environment. 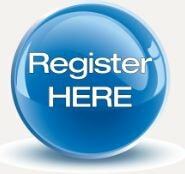 It relies heavily on developments in systems biology and Metabolomics disciplines, including metabolomics. While a few advances in prescription have been made, the practice is not as of now being used for most diseases. Clinical metabolomics involves the application of clinical laboratory protocols, standards, and oversight of a global biochemical profiling technology whose results are interpreted relative to a reference adherent. The inevitable role of lipids in cell, tissue and organ physiology is explained by a large number of genetic studies and by many human diseases that involve the blockage of lipid metabolic enzymes and pathways. Examples of such diseases include diabetes, cancer as well as infectious diseases and neurodegenerative diseases. Within metabolomics, lipidomics has its own identity. Analytical approaches such as LC and MS for system-level analysis of lipids and their interacting partners now make this field a promising area of biomedical research, with a variety of applications in drug and biomarker development. Systems biology is a field within biology aimed at understanding biological processes at the systems level and developing from dynamic interactions of individual components operating at multiple spatiotemporal scales. Systems biology considers organic Systems by efficiently bothering them (organically, hereditarily, or artificially); observing the quality, protein, and educational pathway reactions; incorporating these information; eventually, planning numerical models that portray the structure of the framework and anticipate its reaction to individual irritations. Integrated “omics” approaches have made energizing open doors for Systems science and other organic examines. Decreases in the expense of producing genomic information have made DNA sequencing, RNA-seq, and high-throughput screening an undeniably imperative piece of biomedical exploration. The National Institute of General Medicine Sciences (NIGMS), an organization of the National Institutes of Health (NIH) supporting fundamental research and research preparing, stated not long ago that it would build up two new divisions including one focused on biomedical innovation, bioinformatics, and computational biology as part of a reorganization that contains the dissolution of the NIH National Center for Research Resources (NCRR) which has had a history of ancillary scientific computing.